Home / Disease / Health / Dizziness when standing Up. Some people experience sudden dizziness when standing up from sitting or lying down. Even in some cases, a person can suddenly lose sight and eventually fall. Causes dizziness when standing up. The head feels dizzy after standing caused by a condition called orthostatic hypotension (HO). This increase in heart rate is affected by the Earth's gravitational force when you change position, for example from sitting long or lying down and immediately standing fast. Other symptoms that may appear are shaky body sensations and heart palpitations due to a sudden drop in blood pressure. In this case, the brain directly forces the heart to work extra hard to pump more blood to send to the brain and other body parts. It makes heart work gets harder and increases the heart rate. At the same time, it also tightens blood vessels and lowers blood pressure. This mechanism truly intends to return blood pressure as usual. However, sometimes it appears too late or not work at all. As a result, the blood supply to the brain remains far from enough. 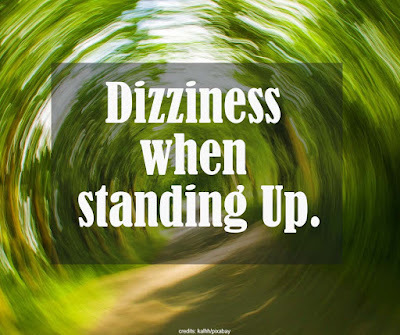 It can cause a dizzy sensation after a sudden stand and shakiness feel like fainting. This condition can cause mild dizziness to severe conditions such as fainting. Sitting for a long time is usually felt by some older people. It will be very dangerous especially if there is an old person because it can cause fractures or brain injury. Blood flow produced by the heart: the higher the blood flow, the higher the value of blood pressure. 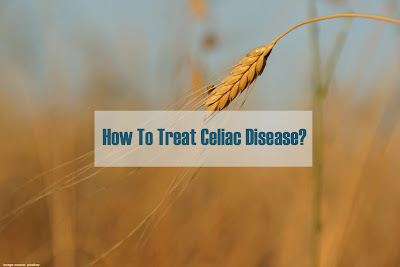 There are obstacles or resistance in the blood vessels. This obstacle considered as a force that pushes back the blood to the heart, the higher the obstacle there is, the higher the value of one's blood pressure. The heart has a dysfunction, which causes blood pressure to the head to be very low. Heart failure or a troubled heart valve condition. If the body is dehydrated, such as after exercising heavily or getting diarrhea, your body will lose fluid and sodium. It can also cause dizziness and a weakened body. If the nervous system disrupted, the heart can also encounter interference with blood flow to the head. It makes the blood flow upwards also becomes disrupted and causes dizziness. The problem of diabetes which can cause blood sugar levels to increase, and can cause acute dehydration, and make the head become simply dizzy when standing. Risk factors for orthostatic hypotension. Age. Orthostatic hypotension often occurs in those aged 65 and older. Special cells (baroreceptors) near your heart and neck arteries that regulate blood pressure can decrease as you age. It may also be more difficult for an aging heart to beat faster and compensate for a decrease in blood pressure. Drugs. These include drugs used to treat high blood pressure or heart diseases, such as diuretics, alpha blockers, beta blockers, calcium channel blockers, angiotensin-converting enzyme (ACE) and nitrate inhibitors. Other drugs that can increase the risk of orthostatic hypotension include drugs used to treat Parkinson's disease, certain antidepressants, certain antipsychotics, muscle relaxants, drugs to treat erectile dysfunction and narcotics. Using drugs that treat high blood pressure in combination with prescription drugs and over-the-counter drugs can cause low blood pressure. Heat exposure. Being in a hot environment can cause heavy sweating and may be dehydrated, which can lower blood pressure and trigger orthostatic hypotension. Bed rest or rest. If you have to rest too long because of an illness, you may become weak. When trying to stand up, you may experience orthostatic hypotension. Pregnancy. When your circulation system expands rapidly during pregnancy. Blood pressure tends to decrease. It is normal, and blood pressure usually returns to your pre-pregnancy level after giving birth. Dizziness when standing up can cause stroke and heart failure. Injuries fall - in very rare cases: short seizures due to temporary loss of consciousness. Stroke. The drop in blood pressure when you change position too quickly from sitting to standing can be a risk factor for stroke because of a minimal supply of blood to the brain. Heart dysfunction. Orthostatic hypotension can be a risk factor for heart disease and a range of complications, such as chest pain, heart rhythm problems, or heart failure. People with orthostatic hypotension (HO) have almost twice the chance of experiencing heart failure compared to those who do not have HO. The risk can increase by more than 1.5 times if you also have high blood pressure as an underlying condition. This increased risk will be stronger in people aged 45-55 years compared to those aged 56-64 years. Also, read Can Headaches Occur from Lack of Sleep?